HEWI is a winner of the iF product design award 2014. The award was given to the new sanitary System 815. System 815 follows the principles of classic HEWI design: The style is based on basic geometrical shapes. Despite the minimalistic use of materials, System 815 has a convincingly high-quality, fine look and feel. The clear, discrete design is highlighted by curved steel elements. 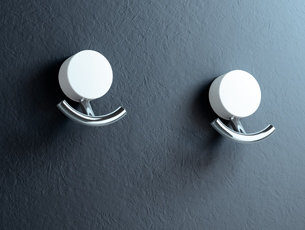 Functional accessories for the washbasin, toilet and shower are available. 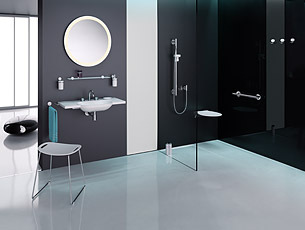 The sanitary System 815 is available not only with a chrome, high-gloss finish but also as a Bicolor variant. The Bicolor version of the circular fixing elements is made of high-quality white synthetic material. The inserts, for example, soap dispensers or tumblers, are optionally available made of white synthetic material or satin finish crystal glass. 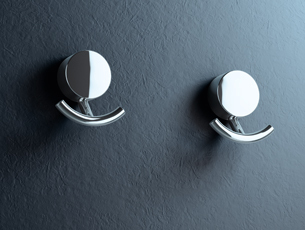 The System 815 sanitary accessories can be combined with the comfort & convenience elements and accessibility products of the WARM TOUCH range. The competition initiator is iF International Forum Design GmbH. For over 60 years, the iF design awards have determined and given prizes for outstanding design performance. The iF awards are among the most important design prizes worldwide. More than 20,000 competition submissions each year from more than 50 countries confirm this.